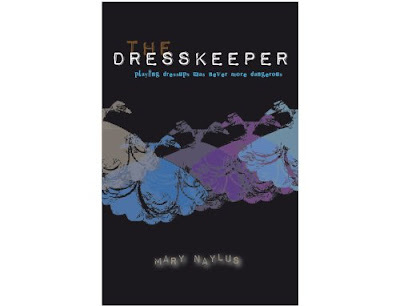 Mary Naylus is the author of The Dresskeeper, a novel about a girl who accidentally travels back through time to 1685 via a magical dress, published by Prospera Publishing. I reviewed it here. Thank you to Mary Naylus & Yannick at Prospera for making this interview possible! 1. What inspired you to write The Dresskeeper, and what inspires your writing as a whole? I enjoy history and some small aspect I read or become aware off tends to inspire my writing. I prefer to delve into areas that deal with the more mundane aspects of life – for example I am not particularly interested in wars and so on. Hence I wanted to write something about the late 17th century period – which was one of relative political and religious stability, but also had plenty of quirky attributes that I felt could relate to teenagers, such as early marriage; the affectations of the Londoners at the time (wigs, colourful dresses and so on); the pollution. 2. If you had a magical time-travelling dress, what year would it take you to? What sort of stuff would you get up to? Well now that I have researched 1685 so intensely I might choose another time – for example early Egyptian culture. It is fascinating to wander the halls of the British Museum and see all the bits and bobs that were part of their way of life. It would be great to be there and experience it. 3. Were you anything like Picky as a teenager? Not really, as I was sporty and tended to stand up for myself a little more than poor Picky. I suppose all teenagers are a bit like her, though; morbid thoughts and laziness and all of that. 4. How did you begin writing, and what was the road to publication like for you? I have always loved reading, and one day, the nugget of a good idea came to me, so I decided to flesh it out and get started. Many letters and edits later and Prospera finally published it for me. I believed it in the book so it was easy to convince others to believe in it too, I suppose. At the moment I am writing quite a lot as I have to deliver The Plaguemaker to Prospera very soon. Sorry, no time-travelling (if one of your readers has suggestions of how to make it happen please pass them on!) but lots of time spent researching. 6. Are you working on a new novel at the moment? Can you tell me a little bit about it? Sure, as mentioned, it’s called The Plaguemaker and it’s about 15-year-old Blessie, who discovers via ghostly messages from the past that her father is about to build on the site of a plague pit, which could have disastrous consequences for the primary school children next door.